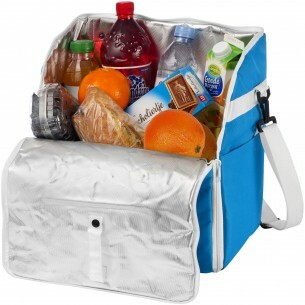 Keep groceries cooler for longer in the personalised Lagg Cooler Backpack/Tote. This high-quality polyester tote fits a large number of items and has a u-zip on the main compartment to make packing even easier. 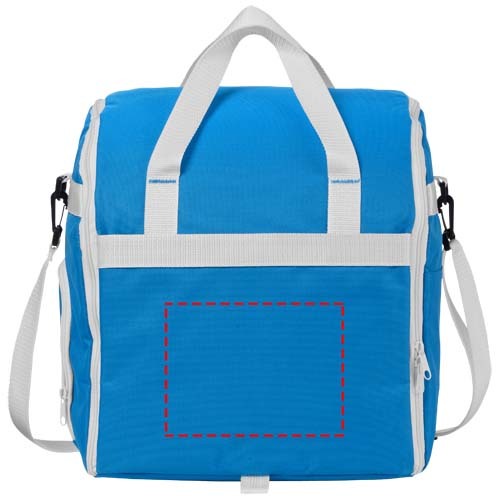 It also has two useful zipped side pockets and backpack straps that can be removed if needed. It also has useful carry handles. The perfect promotional item to use in your shopping-related campaigns.